The World's Worst Records: Florence! Foster!! Jenkins!!! In cinemas this week! 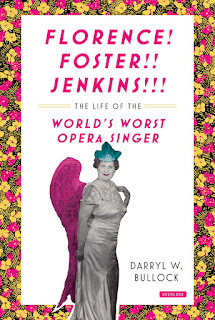 Listen now to the phenomenon that was FLORENCE FOSTER JENKINS! Want to know more? Then read the first full biography of this thoroughly unique musical icon, now the subject of the film starring Meryl Streep and Hugh Grant. In FLORENCE FOSTER JENKINS author Darryl W. Bullock shares the story of how the unflappable New York City socialite financed her own meteoric rise to success, championed by her adoring friends, her long-suffering accompanist Cosme McMoon and her devoted husband/manager St. Clair Bayfield, who stood by her side through every sharp note and shielded her from her harshest critics. Bullock’s 'delightfully cheering' (Alexander McCall Smith, The Guardian) and entertaining narrative draws on his extensive research into the life of one of the music world’s most curious characters. His book (described as 'a howl' by the Pittsburgh Post-Gazette) reveals countless exquisite details about the star’s life never before known to the public. 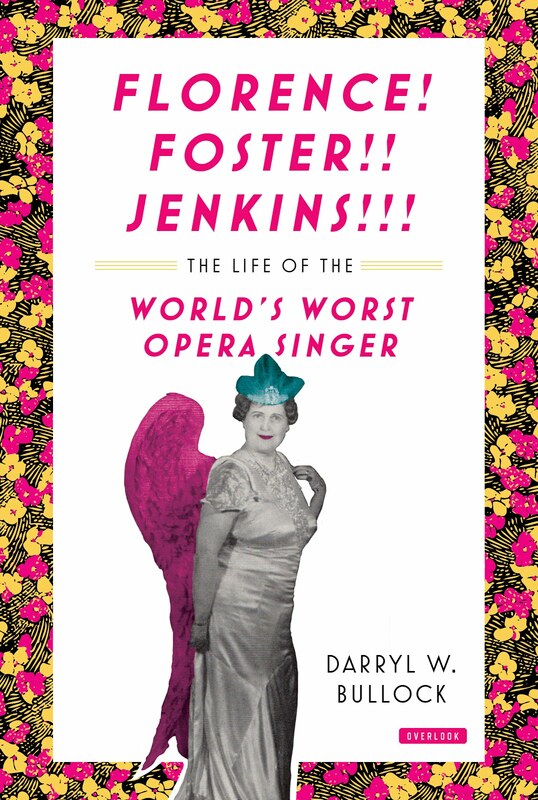 With a major Hollywood movie about her life and stardom scheduled for release in August, the genius of Florence Foster Jenkins is about to be discovered by a whole new audience. There is no better time, then, to reintroduce the terribly fascinating and fascinatingly terrible figure to the public through this captivating and thorough biography, which exposes the truth that inspired the fictionalized biopic. Madame Jenkins’ incomparable legacy demands attention, just as she herself always did—and in FLORENCE FOSTER JENKINS, her unparalleled talent is finally placed in the spotlight once more.